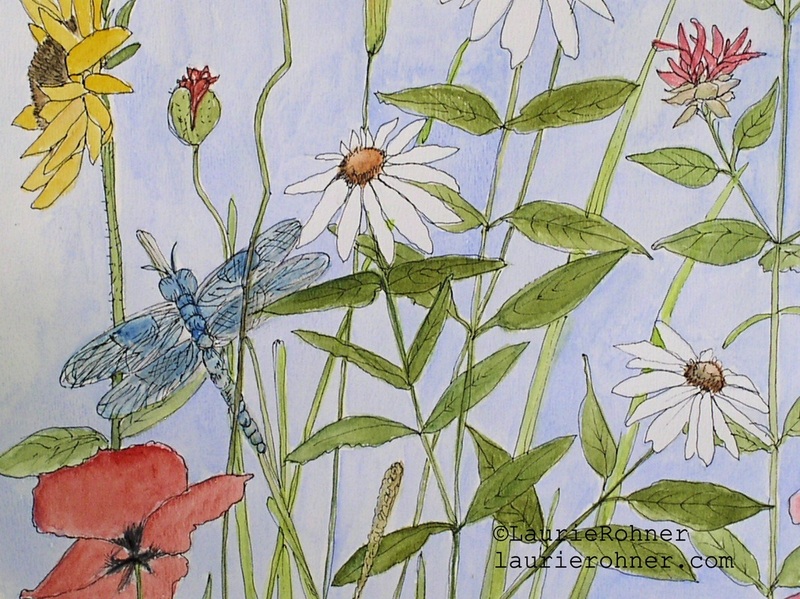 SOLD Watercolor botanical garden illustration Daisies Delphinium Dragonfly in Garden is an original nature art painting by nature artist Laurie Rohner. 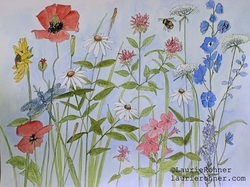 Garden nature art botanical watercolor colorful garden flowers with dragonfly and bee titled Daisies Delphinium and Dragonfly in Garden by nature artist Laurie Rohner for Between The Weeds. 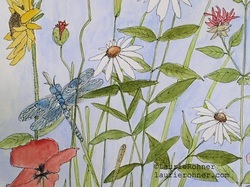 Watercolor painting pink yellow red and blue flowers a dragonfly resting on a grass reed with a bee buzzing in this wonderful cheerful botanical garden flower painting. 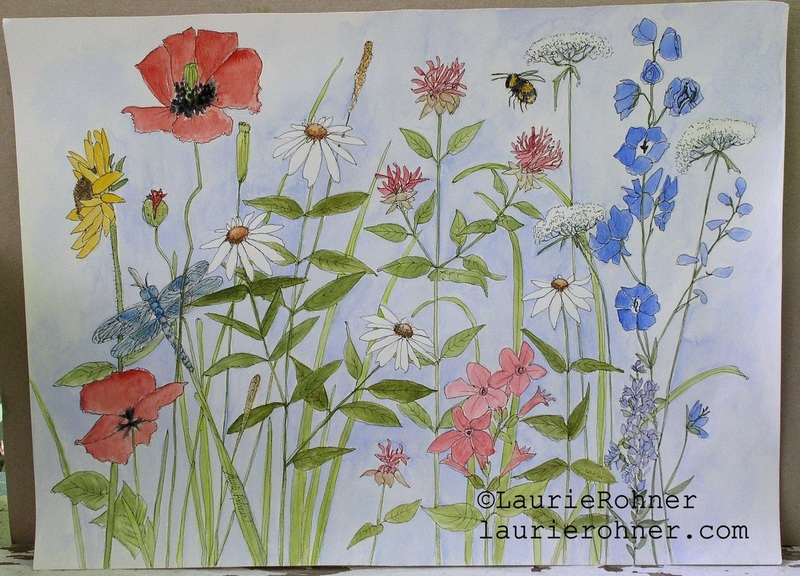 A whimsical original nature artwork and sure to bring joy to anyone in love with gardens. 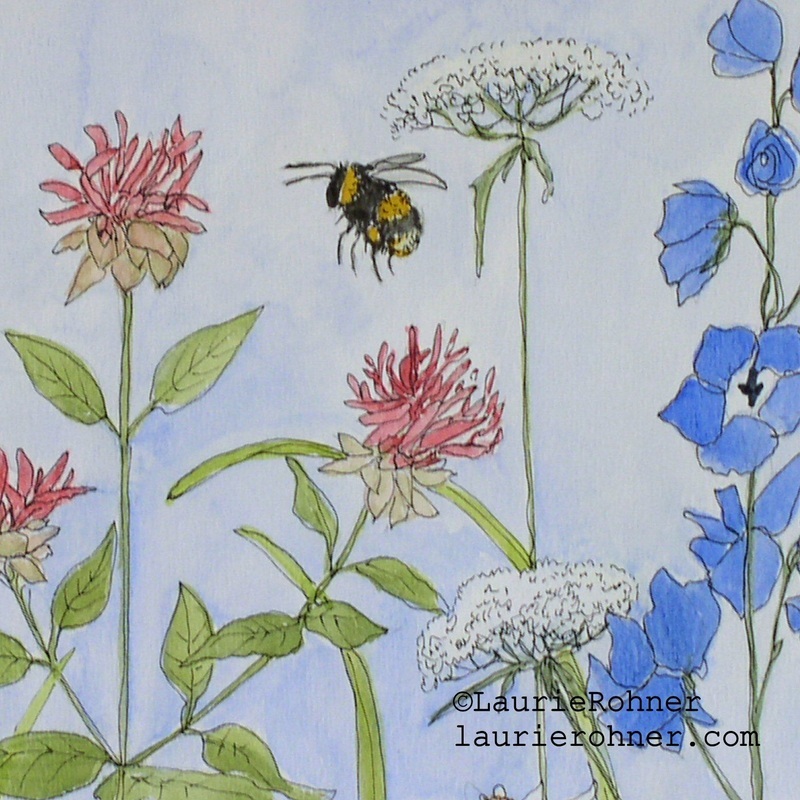 The sky is blue and the sun shines down on the garden filled with a few of my favorite flowers penned and painted in my illustration of garden flowers, dragonfly and a bee in watercolor and pen. 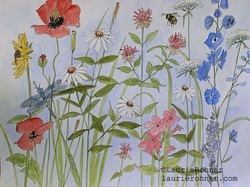 There is a blush of blue sky hinting at a summers day. 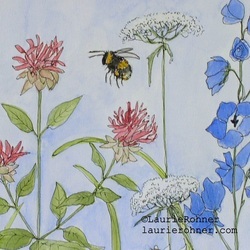 It is cheery and guarantees a better mood. 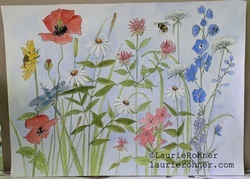 Paper: Arches 90lb hot pressed watercolor rag paper.